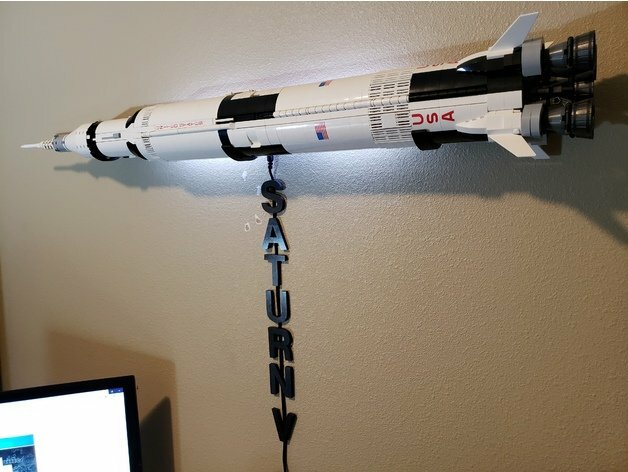 LEGO Saturn V Rocket Wall Mount #3DThursday #3DPrinting « Adafruit Industries – Makers, hackers, artists, designers and engineers! Print two of the right piece if you don’t want the LED part. Print two of the LED trays with clear PETG. Uses 2 inch dry wall screws to mount to wall. Super glue the LED trays into the center mounts. Center Mount accepts a 10mm 12v jack.